Measure Your Lifespan, Then Extend It. 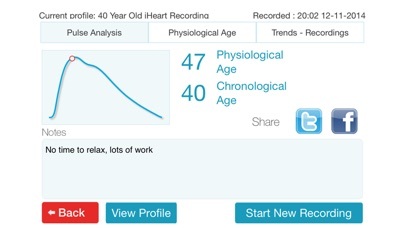 This application only works with the iHeart Internal Age system available at goiheart.com. 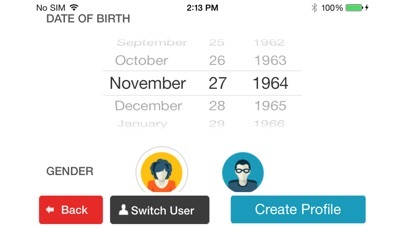 This version is customized for use by professionals and required a paid membership which can be purchased in-app. 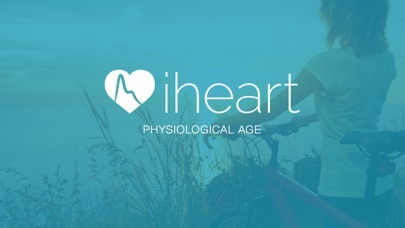 iHeart uses a fingertip device to run a 30-second test to assess Aortic Stiffness, a powerful indicator of overall health, to determine your Internal Age. Use the device to encourage positive lifestyle choices and watch your health improve over time. Membership options are as follow : - 1 Month for CAD$13.99 - 3 Months for CAD$35.99 - 6 Months for CAD$69.99 - 1 Years for CAD$139.99 There is no automatic renewal so you can decide to renew your membership when and however you want. 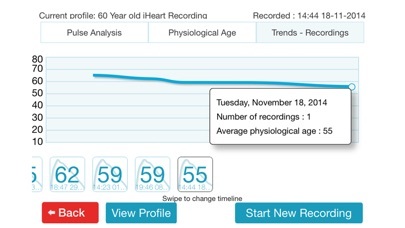 The Membership gives you full access to the following: - Create up to 1000 user profiles for use with clients - 30-second test to determine users’ Internal Age - Individual reports emailed to client and device owner for further analysis - Monitor Blood Oxygen and Heart Rate - Monitor Aortic Pulse Wave Velocity, the gold standard of Aortic Stiffness testing - Review recordings, pulse shape and trending graph of results - Access data via the online dashboard (optional) - Record and trend BMI - Enhanced profile information Visit us at goiheart.com for information about how to order the iHeart fingertip device. 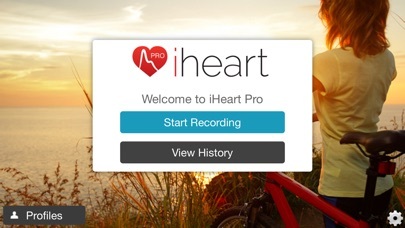 NOTE: The iHeart system is NOT a medical device. It is to be used for personal health and wellness education only. It is not intended to be used for any medical diagnosis or management of any medical conditions.